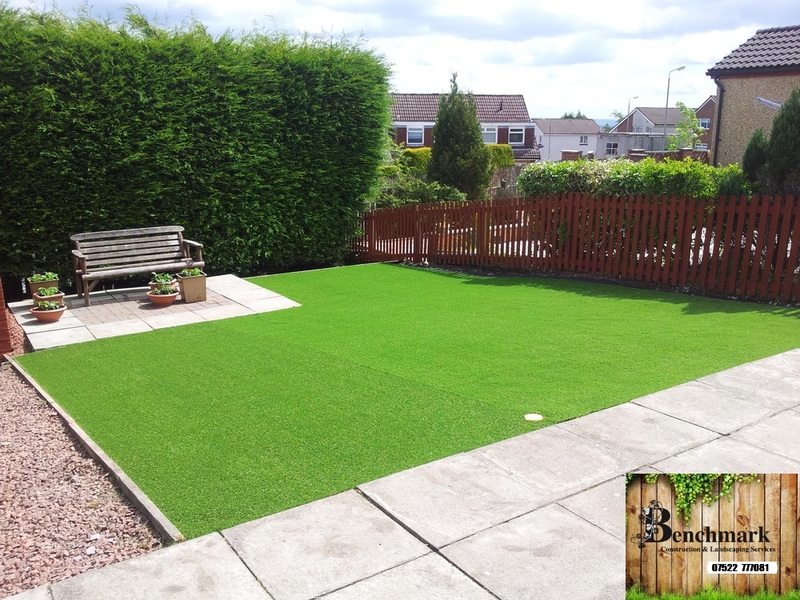 Here at Benchmark we install beautiful artificial grass for residential domestic lawns,commercial properties and public areas. We use only the highest quality synthetic grass to ensure the most realistic real grass effect. There are many shades of green available just as there many types and shades of real grasses. We are an experienced and professional landscape and construction company based in Maidstone and our garden design and landscaping services include installing and laying beautiful artificial lawns.We are proud of our well earned reputation for providing quality services at prices people can afford. We also specialise in patios and driveway design and construction, groundworks and drainage, decking and fencing installation, real turf laying and grounds maintenance. Are you sick and tired of lawn maintenance and repair? Are you tired of spending your weekends mowing the lawn when you could be spending quality time with your family? Are you at a loss for a way to get grass to grow in patchy, shaded areas? Artificial Grass Kent is the solution that will dispel all of your lawn care woes and leave you with more free time and extra money in your pocket. It has all of the benefits of real grass without any of the work required to maintain it. No longer will you have to spend your weekends cutting grass. No longer will you have to struggle with those unsightly bare patches where the grass simply refuses to grow. And no longer will you have to pay outlandish fees to have the lawn at your business properly maintained. For in depth information this Wikipedia link on artificial grass explains its history and uses. In addition to our many standard products for improving the appearance of your home or business, we are proud to offer a wide range of professional Artificial Grass Kent solutions that will be sure to add that extra touch of class to your next landscaping project. If you choose Benchmark Landscapes for your next lawn maintenance project, you will not be disappointed. No More Cutting The Grass! Within the past few years, Artificial Lawns Kent has experienced a surge in demand because customers are searching for more cost-effective solutions for improving their properties and reducing their workload. Artificial Grass Kent not only adds additional value to a property, but it makes maintenance that much easier. In addition, it is inexpensive when considering the long-term investment and savings involved with owning such a product over a long period of time. With Artificial Lawns Kent there is no more cutting the grass! Because it is completely artificial, it requires no watering or sunlight to remain green and lush. There is only sleek-looking turf that looks every bit like fresh grass that has just been laid the day before. It is perfect for kids to play on and mimics the texture of real grass. It is sure to improve the appearance of any personal yard or business landscape and it is a perfect solution for those patchy, shaded areas where grass struggles to grow. It Looks And Feels Like Real Grass! Artificial Grass Kent looks like real grass both from a distance and up close. It is non-toxic and safe for children and animals. The only difference between this and authentic grass is that it will never grow, and it will never die. You will have all of the benefits of a perfectly maintained lawn without all of the extra hassle. 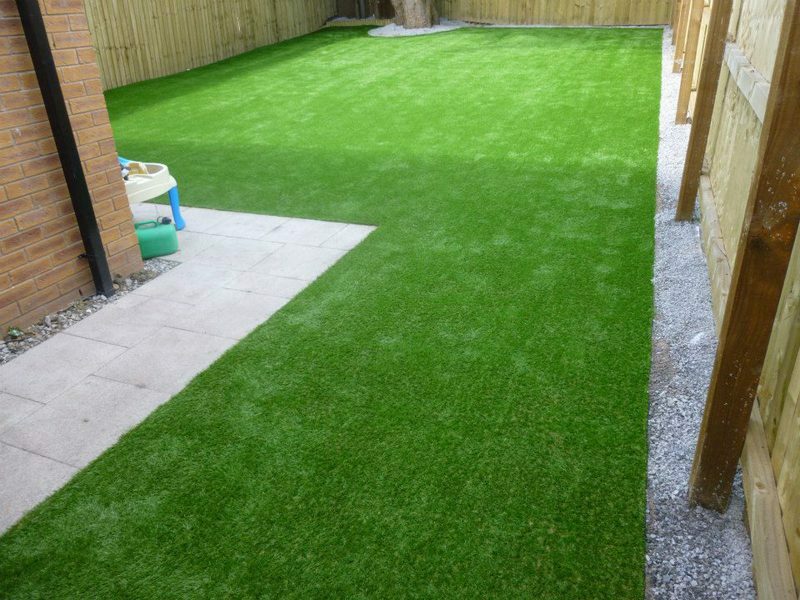 Artificial Lawns Liverpool is the best of both worlds because you will be free to sit back and admire your perfectly manicured lawn. You will enjoy the fruits of your labor without putting forth the actual labour. Here at Benchmark Landscapes Kent, we use only the highest quality artificial grass and provide a wide range of styles and designs. You will be able to work closely with members of our team to choose the right style to fit your particular needs. Because we have such a wide selection, we can provide artificial lawns to individually owned homes with small yard areas, large company landscaping projects, and everything in between. Our products are some of the best on the market, and our outstanding service is the number one reason customers choose Benchmark Landscapes again and again. Don’t Waste Another Minute Or Another Penny On Lawn Maintenance! So, if you have had enough of time-consuming lawn maintenance, call us at 07522777081 to discuss our services in detail.